Chief Guest: Mr. Saleel D. Pulekar, International speaker associated with Art of living foundation. 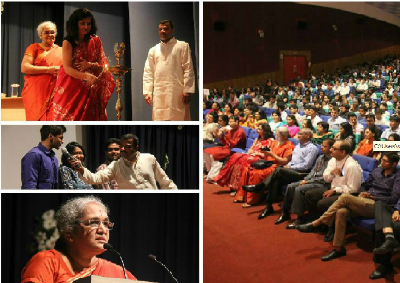 Inaugural address was by Director - Adya Mam and our founder Director, Dr. Bhama Venkatramani. 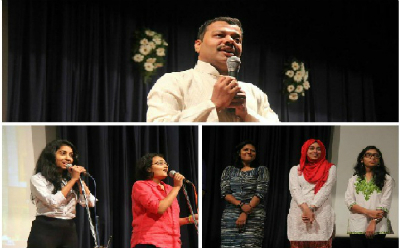 Guest speaker Mr. Saleel Pulekar held a session on the art of living for 45 minutes which students enjoyed a lot. It gave them insight about how to look at life. In the end, there was a cultural event by students for 15 minutes. The singers and musicians filled the audience with energy. Step up took that energy to a new level. Dramebaaz touched everyone’s heart by proving how unity in diversity and helping nature is above all. Students were provided with the sweets and Lunch for faculty and staff was arranged.